Valentine’s Day is just around de corner! Lookin’ for a gift for ya honey? 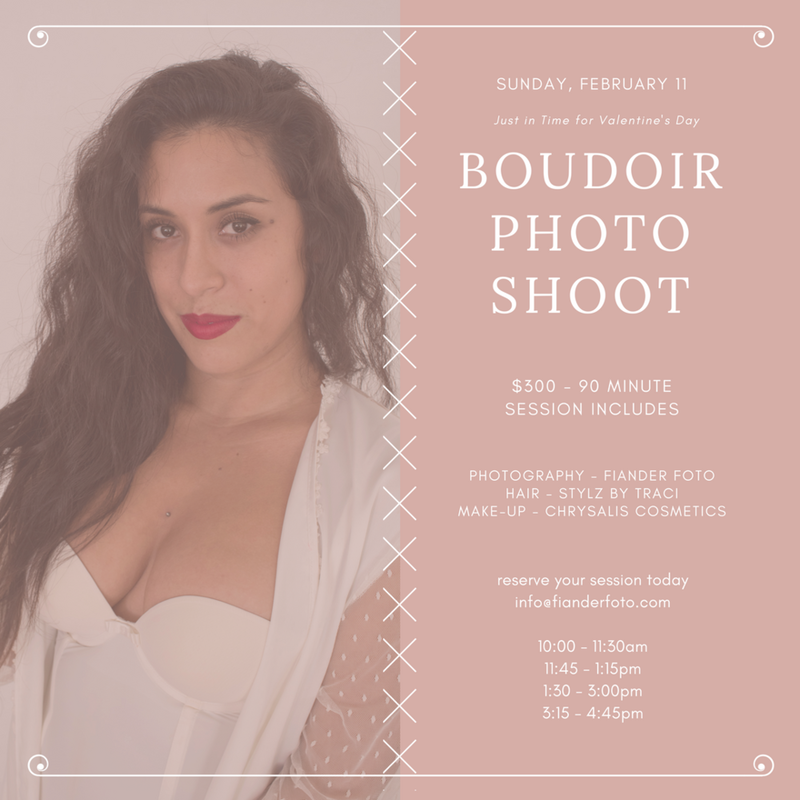 Come on in for a Home Stylized Boudoir Session on Sunday, February 11 with fun and fancy vintage furniture. Sessions are 90 minutes long and include professional hair by Stylz by Traci and make-up by Chrysalis Cosmetics along with the high-resolution images shot by moi! Be sure to reserve your session today! For more details, please e-mail me at info@fianderfoto.com.